Homemade crackers taste so much better than storebought crackers. It's a fact. No matter how many times I make them, the level of goodness never ceases to amaze me. 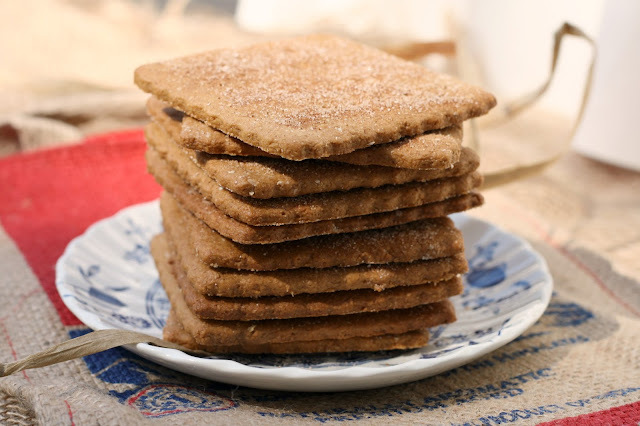 Not to mention, if you've never made crackers at home, it's so much easier than you may think. Crackers are a popular snacking choice in my house. I won't claim to make all of the ones we eat from scratch. But, I try. I've tried many sort-of copycat kid-pleasers such as cheese crackers, club crackers, sociables, homemade goldfish crackers, and butter crackers. But the type that I make most often are more of the "pinkies up" varieties. The type that are seemingly more sophisticated (yet the kids still devour them). 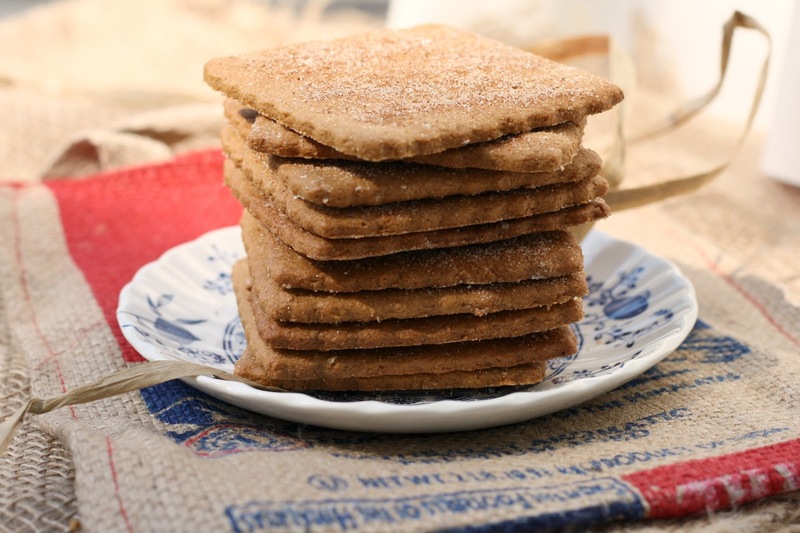 Crackers that fall into this category are usually thin and crisp, and often have seeds of some sort studded throughout, and sometimes they include yeast or sourdough, such as flaxseed and black pepper, olive oil and seed, or crunchy seeded crackers. These crackers fall into the first variety - copycat kid-pleasers. Yet, my husband and I love them, too. I mean, who didn't grow up loving graham crackers. They are perennial favorites! I love them as dessert, just dunked in milk. I try to hold them in the milk for as long as I can without losing them (you know what I'm talking about). Also, when I was little, we used to use any leftover frosting after making a cake, to spread on them; chocolate was always my favorite. Wrap them around a gooey toasted marshmallow and some chocolate for that favorite campfire treat, s'mores. Crush them and mix them with butter to make a pie crust. 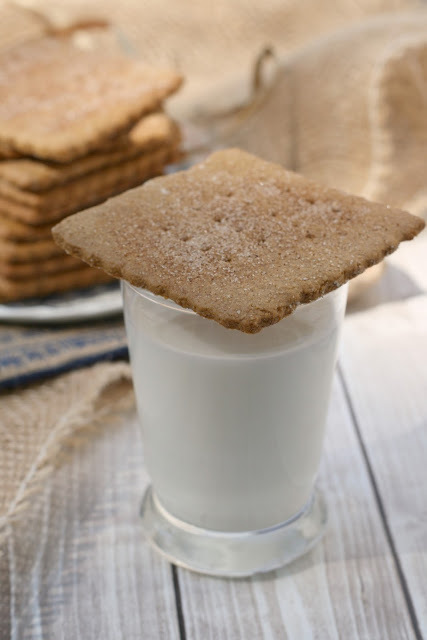 Yes, you can do all of these things with homemade graham crackers. And guess what? They make your favorite treats taste even better. It's possible. Really. When testing out graham cracker recipes, I came across quite a few variations. Some were too molassesy. Some just tasted sweet, but not "graham crackery". Finally I settled on one that tasted exactly - yes exactly - like the graham crackers I grew up with. When you break them in half, they have the same look and texture that is unique to graham crackers. Once baked and cooled, these crackers store extremely well in an airtight container for at least a week. And believe it or not, they taste even better after a few days. The one difference that I notice is a good difference. They are slightly sturdier than the storebought variety, which simply means that I can hold them in my milk for that much longer (they're also perfect for making killer s'mores). Next up, homemade animal crackers (I've already bought the cute little dough cutters and everything)! 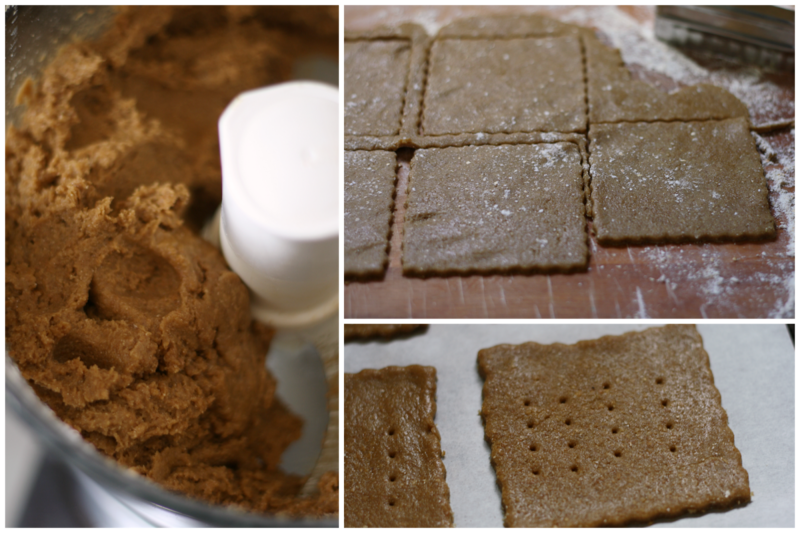 See my original Homemade Graham Crackers post at Food Fanatic. See the Graham Cracker recipe at Food Fanatic.